Showing results by narrator "Wolfe Morris"
T.S. 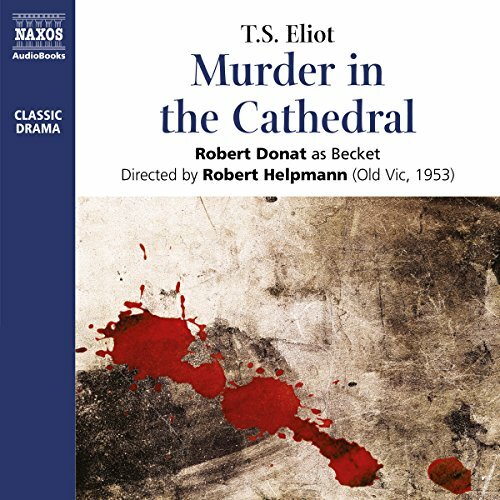 Eliot’s Murder in the Cathedral is both a fascinating retelling of the 12th-century assassination of Archbishop Thomas Becket and a compelling call for resistance in the face of intimidation. Written against the backdrop of rising Fascism in 20th-century Europe, Eliot’s classic verse play is as relevant now as it ever was. This re-release of the original 1953 recording stars Robert Donat whose commanding performance as the Archbishop, alongside a full cast, is widely celebrated.